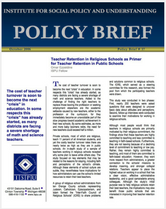 In schools across the United States today, educators do more than just teach academic subjects. One of the most important things a teacher can do is to understand the diversity of backgrounds and experiences of their students and teach them how to work together. Are you an educator who wants to create an inclusive and enriching classroom experience? If so, this toolkit is for you. 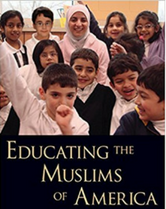 These evidence-based resources built by expert scholars will help you foster a safe learning environment for all of your students, especially those who happen to be Muslim. 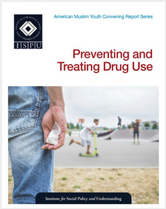 Given the prevalence rates and negative mental health outcomes associated with religious-based bullying, it must be considered a public health issue in need of prevention and intervention attention. 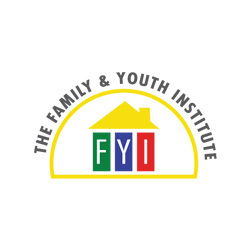 This brief provides insights from the first-ever National Interfaith Anti-Bullying Summit held in Washington, DC, on December 2–3, 2017. The summit gathered a multitude of experts on the issue, including advocates, researchers, teachers, parents, physicians, mental health practitioners, and, most importantly, targets of bullying to share their stories of the abuse and how it impacted their mental well-being. 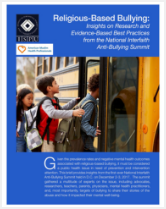 This December 5, 2018 panel discussion covers the findings of ISPU and AMHP’s Religious-Based Bullying report, the connection between mental health and bullying, and parent/child accounts of religious-based bullying. 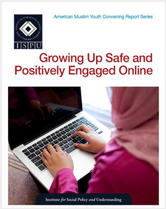 For more on these topics, see also this webinar, sponsored by ISPU, Islamic Networks Group (ING), American Muslim Health Professionals (AMHP), and Sikh Kid 2 Kid. 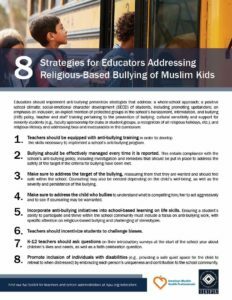 This handout provides eight strategies for educators on how to best address religious-based bullying of Muslim kids. Our third annual poll measures attitudes and policy preferences that impact the lives of American Muslims, including results from Catholics, Protestants, Jews, white Evangelicals, and the non-affiliated. 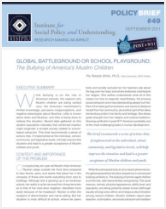 Our findings provide empirical evidence that can be used to respond to stereotypes about American Muslims. Today, issues surrounding American Muslims are central in our political discourse and popular culture. Yet most Americans say they don’t know a Muslim. 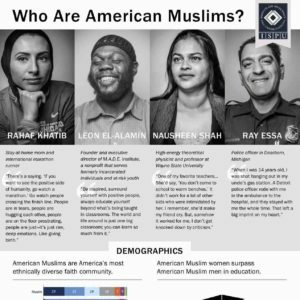 The Muslims for American Progress (MAP) project provides a much-needed, evidence-based portrait of a deeply misunderstood community. 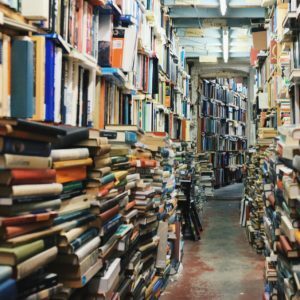 This collection lists over 250 books published between 1966 and 2017 that focus on Muslims and Islam in the United States. 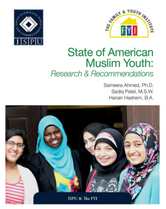 This handout is a data-driven overview of who Muslims in America are. 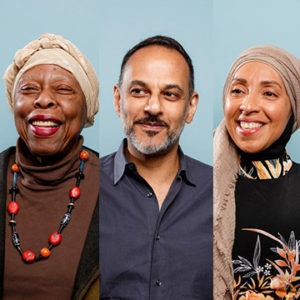 Students can learn about American Muslims’ racial make-up, education, and identity, while being introduced to the faces and voices of real Muslims. 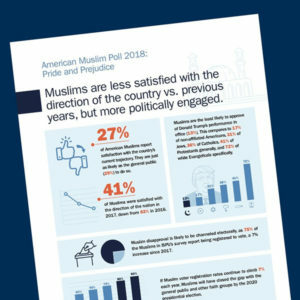 This series of infographics highlights important findings from the 2018 American Muslim Poll. Use these as a tool to help students digest data points to support meaningful classroom lessons and discussions. The data from ISPU’s American Muslim Poll 2018 showed that most Americans want to live in a country free from bigotry against Muslims. But Islamophobia does exist in the margins—and it’s bad for everybody. Rebecca Karam, Principal Investigator of ISPU’s Muslims for American Progress (MAP) project, discusses the contributions of Muslims to the state of Michigan, highlighting the stories of some truly inspiring individuals. When you hear “Muslim women,” what do you think of? Here’s what the data from ISPU’s American Muslim Poll 2017 says. 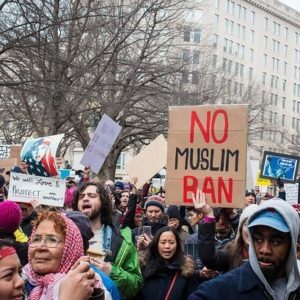 What would an America without Muslims look like? 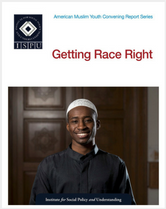 Watch this video based on ISPU’s Muslims for American Progress (MAP) project to learn more. How well do you know American Muslims? These facts from ISPU’s American Muslim Poll 2016 just might surprise you. When you look at Muslim scholar Dalia Mogahed, what do you see: a woman of faith? a scholar, a mom, a sister? or an oppressed, brainwashed, potential terrorist? In this TED talk, ISPU Director of Research Dalia Mogahed asks us to choose empathy over prejudice. What is Islamophobia? Why is there so much of it? And how does it impact all of us? 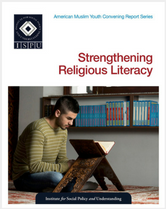 ISPU Director of Research Dalia Mogahed answers these questions. Weekend Islamic Schools: Are They Preparing Children for Life Ahead? 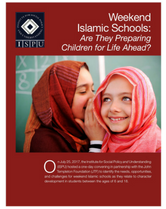 On July 25, 2017, the Institute for Social Policy and Understanding (ISPU) hosted a one-day convening in partnership with the John Templeton Foundation (JTF) to identify the needs, opportunities, and challenges for weekend Islamic schools as they relate to character development in students between the ages of 6 and 18. Based on the exchange of ideas at the convening, the participants came up with experience- and evidence-based recommendations that can be implemented by all those working in connection with Islamic schools. What if you were asked to recall the best, most fulfilling moment you had at a mosque? 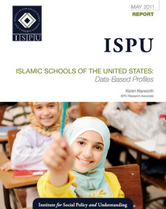 ISPU asked American Muslim women this question, and here is what we found. Allison, Daniel, and Kayla are converts to Islam. Follow their journeys to see how their mosques created welcoming, inclusive, and dynamic environments for them to grow in their faith. 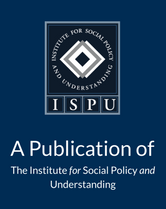 These resources may be helpful for educators, though ISPU does not claim responsibility for the content. 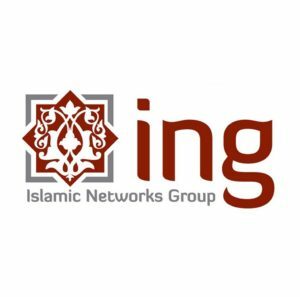 ING provides educational resources for teachers, administrators, and staff, including interactive presentations about Muslims and their faith for middle and high school students. 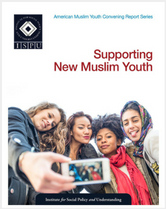 This toolkit includes resources for parents, children, and their educators and coaches on preventing and addressing anti-Muslim bullying. This series looks at the unique challenges that today’s young American Muslims face, including religious literacy, online safety, drug use, and issues surrounding both convert care and race.